Hyundai Card has partnered with MFBTY to create an intimate series of music discussions at their new Hyundai Music Library. The large collection of both Korean and American LPs is a musician’s dream, where LPs have nearly died and reminiscing past music is a rarity. In a whopping 30-min episode, MFBTY are asked to discuss their childhood idols and guilty pleasure songs that defined their younger years. Their eyes light up as they lip-synch and goofy dance to Lenny Kravitz, MC Hammer, Gwen Stefani, and Def Leppard. Though the hip-hop pioneers could not complete the episode without talking about 90s hip-hop, where Tiger JK became excited talking about Wutang Clan, Nas, Biggie, and Tasha’s favorite, 2pac. 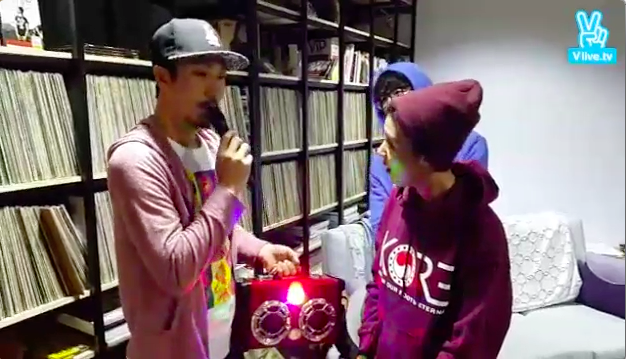 A special bonus: Tiger JK calls Illionaire’s Dok2 mid-session. Check the full video below. While we at DT MFBTY INTL traditionally deliver gifts via social media, we wanted to give MFBTY’s Bizzy something different for his big “9th” birthday. We know our Leap Year boy is still growing, so we went for stuff he could touch, smell, and most importantly, EAT. When we put out the call on our social media outlets, we encouraged fans to send stuff that MFBTY could not find in Korea. We were asked what Bizzy’s hobbies were, his favorite food, what he likes to wear, and the results were pretty amazing. Feel Ghood Music filmed the whole reveal, and in between you can hear MFBTY being full dork and cracking jokes on each other. 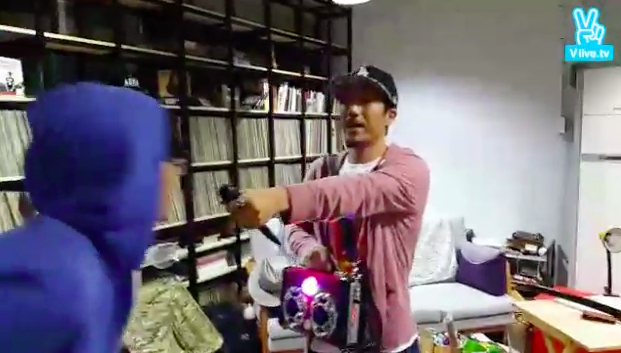 Tiger JK does not make a physical appearance because he was too busy playing witty cameraman. Supposedly, Bizzy got greedy at first and brought the entire box home with him, but after some pressure, brought back some goods to share (LOL!). Check the video for the full reaction. Thanks to all the fans and Drunken Tiger MFBTY INTL staff who submitted! YoonMiRae’s “This Love” single isn’t debuting until Monday, but her teaser released today gives us a look at what to expect. The piano intro takes us into the emotional world, and Lady T’s encapsulating eyes and classy outfits draw us in. Seriously, cue the Kleenex. If there is anything that we’ve learned about our boss, Tiger JK, he is extremely spontaneous. It’s something that has driven our staff crazy at times, but genius somehow comes out of it. 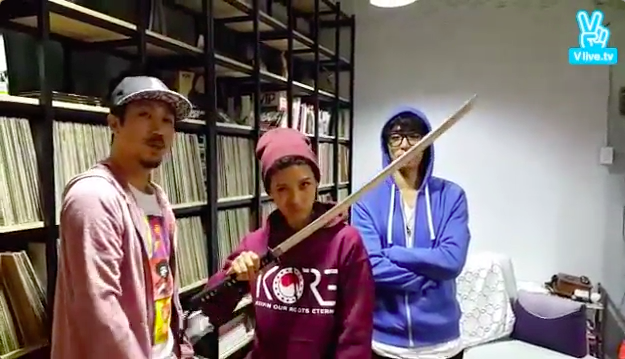 So when MFBTY decided to drop the long awaited “6AM” MV live from their studio this morning, we were surprised yet glad they went out on this whim. Fans anticipated they would just see the MV debut, but on top of getting the first glimpse of it, fans were treated to a tour of the studio. Their humble abode is filled with never ending shelves of rare LPs, a quaint recording studio, and random chatskis from their past music video shoots. Extra bonus, check this old photo of them with DoubleK and a teenage Dok2. After a brief casual sing and dance to Tiger JK’s “Reset,” Tiger JK saw Bizzy regress into quiet mode. 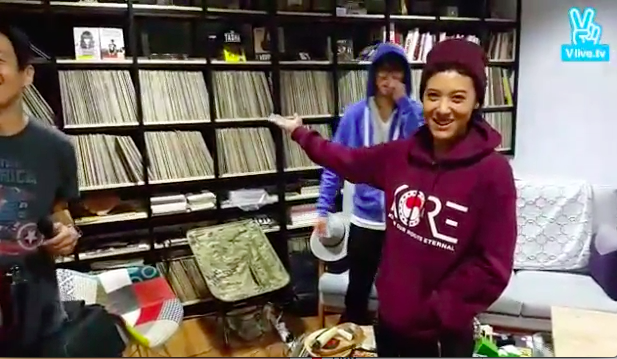 Given the MV debut centered around Bizzy, JK encourages him to take the spotlight and sing “Love & Peace” on his own. See Bizzy fully wile out at 16:40 (finally! ).